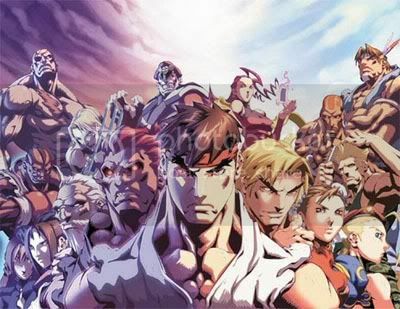 There are many secrets within Super Street Fighter 4 on Xbox 360. Please read the info below, hopefully it will increase your fun playing this phenomenal game. To unlock additional taunts and colors of a character, play that character with the conditions mentioned below. Taunts #1 and colors #1 & 2 are available from the start. Taunt #2, play 1 match with the character. Taunt #3, play 3 matches with the character. Taunt #4, play 5 matches with the character. Taunt #5, play 7 matches with the character. Taunt #6, play 9 matches with the character. Taunt #7, play 11 matches with the character. Taunt #8, play 13 matches with the character. Taunt #9, play 15 matches with the character. Taunt #10, play 16 matches with the character. Color #3, play 2 matches with the character. Color #4, play 4 matches with the character. Color #5, play 6 matches with the character. Color #6, play 8 matches with the character. Color #7, play 10 matches with the character. Color #8, play 12 matches with the character. Color #9, play 14 matches with the character. Color #10, play 16 matches with the character. Color #11, have saved data from Street Fighter 4. Color #12, have saved data from Street Fighter 4. Remixed Character BGM For Use in Battles, get “It Begins” Achievement. Car Crusher Bonus Stage, beat Arcade Mode in any difficulty. Barrel Buster Bonus Stage, beat Arcade Mode in any difficulty. Individual Japanese Voices, beat Arcade Mode in any difficulty. All Clear (10), clear Arcade Mode on Medium or higher with all characters. Absolute Perfection (20), get 30 perfects battles. Barrel of Laughs (10), score 110,000 points or higher in the Barrel Buster Bonus Stage. Bring It On ! (20), fight 100 Xbox Live matches. Battle Master (20), win 30 Xbox Live matches. Clear Headed (10), beat Arcade Mode on Medium or higher. Dan the Man (10), collect all Personal Action (Taunts). Endless Lobbyist (10), create 30 Endless Battle lobbies. Extra ! Extra !, use EX Gauge to successfully land 100 EX Moves. Entitled (50), collect all titles. Endless Ten (50), win 10 fights in a row in Endless Battle. First Timer (10), win one Ranked Match. Fashion Plate (10), collect all Colors. Fivepeat (30), win 5 Ranked Matches in a row. From C to Shining C (50), bring all characters to C Rank. Good Start (10), clear 10 trials in Trial Mode. Herculean Effort (10), finish Arcade Mode on Medium or higher without using a continue. Hard Times (20), finish Arcade Mode on Hardest. It Takes Focus (10), connect with 100 Focus Attacks. It Begins (10), fight on Xbox Live. Iconoclast (50), catch all characters icons. Keep on Truckin’ (10), enter an Endless Battle. Long Time No See (50), complete Arcade Mode on Hardest difficulty and beat Gouken. Legendary Fighter (50), win 100 Xbox Live matches. Moving On Up (10), rank up your characters via Ranked Match. Now You C Me…(20), just rank up to C Rank. Oh! My Car! (10), score 80,000 points or more in Car Crusher bonus stage. Overachiever (0), get all Achievements. Quarter Up (10), fight 30 opponents through Arcade Fight Request. Road to Victory (10), win 10 Xbox Live matches. Replayer (10), watch 30 Replays through Replay Channel. Rival Schooled (20), with every character, clear every Rival Battle on Medium or higher. Super, Man! (10), do 100 Super Combos. Sunspotter (10), perform 365 Super or Ultra Combo finishes. Special Movement (10), do 100 Special Moves. Superior Super (10), do 50 Super Combo finishes. Speed Freak (30), beat each round in 20 seconds or less in Arcade Mode on Medium or higher. Team Player (10), fight in Team Battle. Team Mate (10), win 1 Team Battle match. Team Lobbyist (10), create 30 Team Battles lobbies. Three For The Road (20), win 3 matches in a row in Endless Battle. Trail of Trials (20), clear any character’s Trial Mode trials. Threepeat (20), win 3 Ranked Matches in a row. Teamworker (30), win 10 Team Battles. Trial Athlete (50), clear all Trial Mode challenges. Tenpeat (50), win 10 Ranked Matches in a row. This is Madness! (50), fight 300 Xbox Live matches. Worldly Warrior (10), fight 50 Xbox Live matches. Ultimate Ultra (10), perform 50 Ultra Combo finishes. Ultra, Man! (10), perform 100 Ultra Combo finishes. Ok, fighters… I guess those are some secrets contained in Super Street Fighter 4. This entry was posted in Cheats, Microsoft Xbox and tagged cheats for street fighter 4, street fighter 4, street fighter 4 cheats, super street fighter 4 cheats. Bookmark the permalink.